NOLAN BOND & TANNER LAWSON! 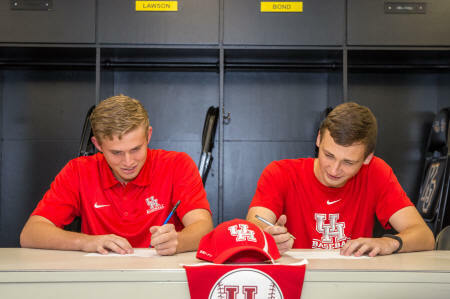 Nolan and Tanner both signed with the Houston Cougars on Nov. 12th! The Cougars are getting two great ones and we’re excited that they’ll still be Panthers this season!